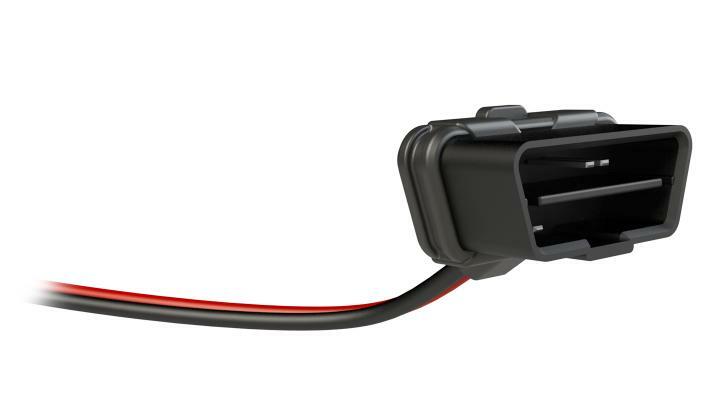 The GC035 12V Male OBD-II Connector allows you to disconnect your vehicle's battery without losing onboard electronic settings, such as radio and clock settings, seat positions, alarms, GPS, keyless entry codes and more. 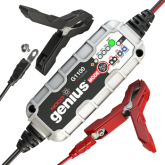 It's simple to use. 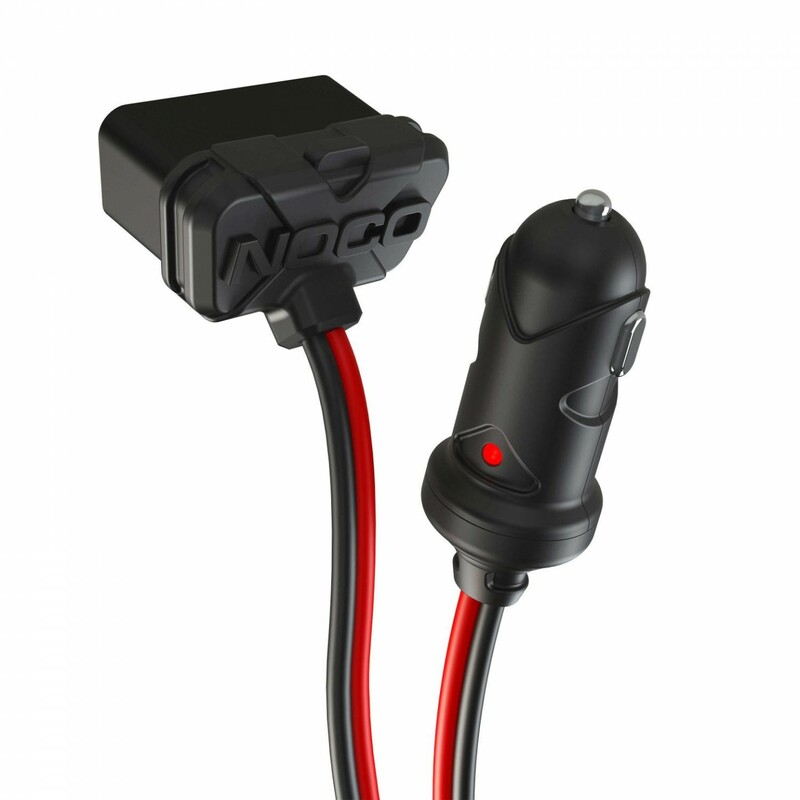 Just connect the 12V Male OBDII Connector to a 12-volt power source. 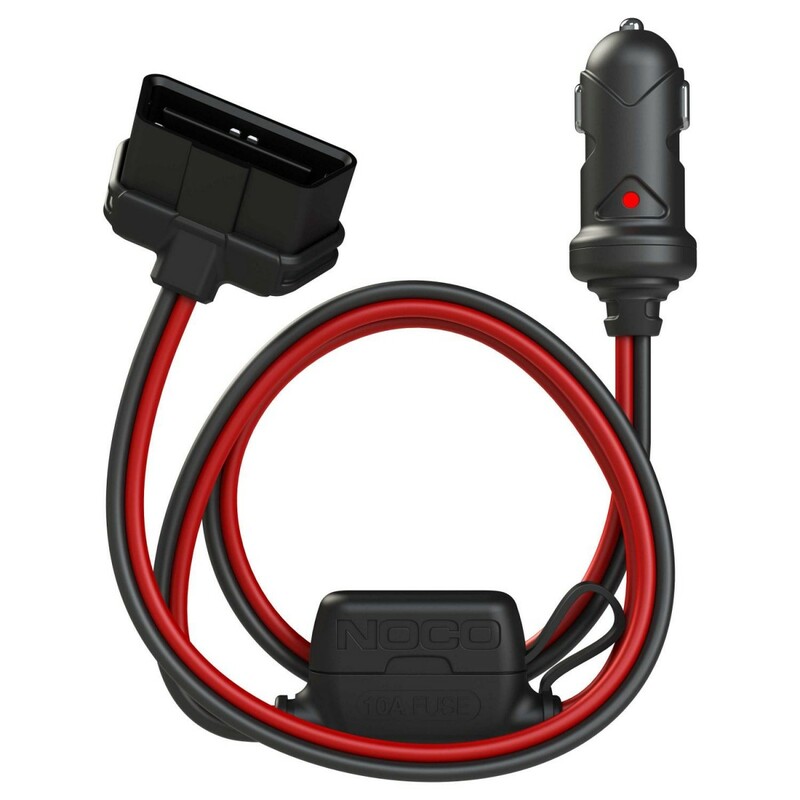 It features a Type-A OBD-II 16-Pin diagnostic connector for vehicles with a 12-volt supply voltage per SAE J1962 specification. 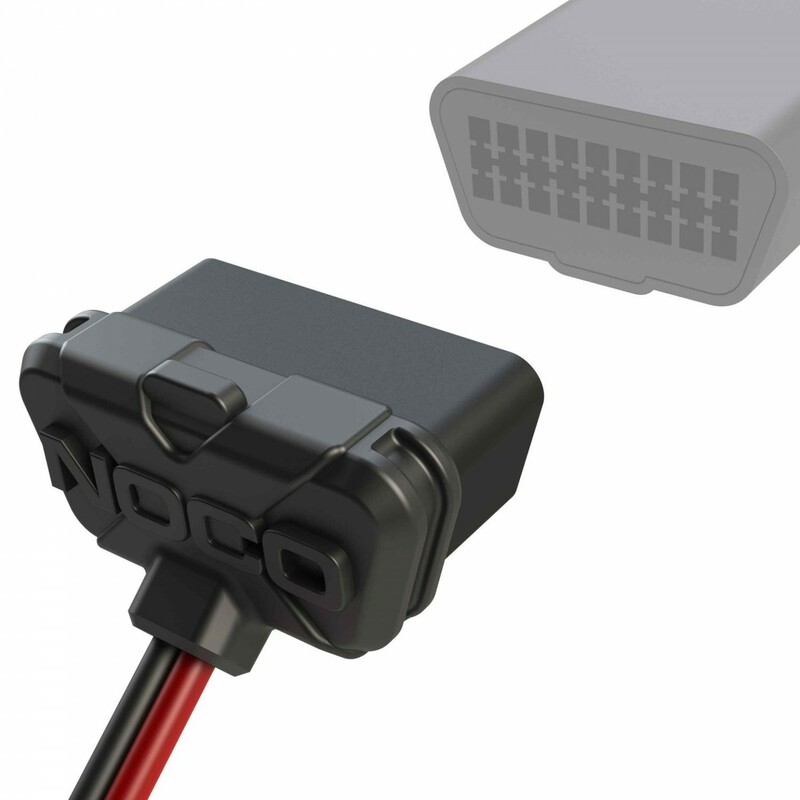 Rugged connector for extreme environments. 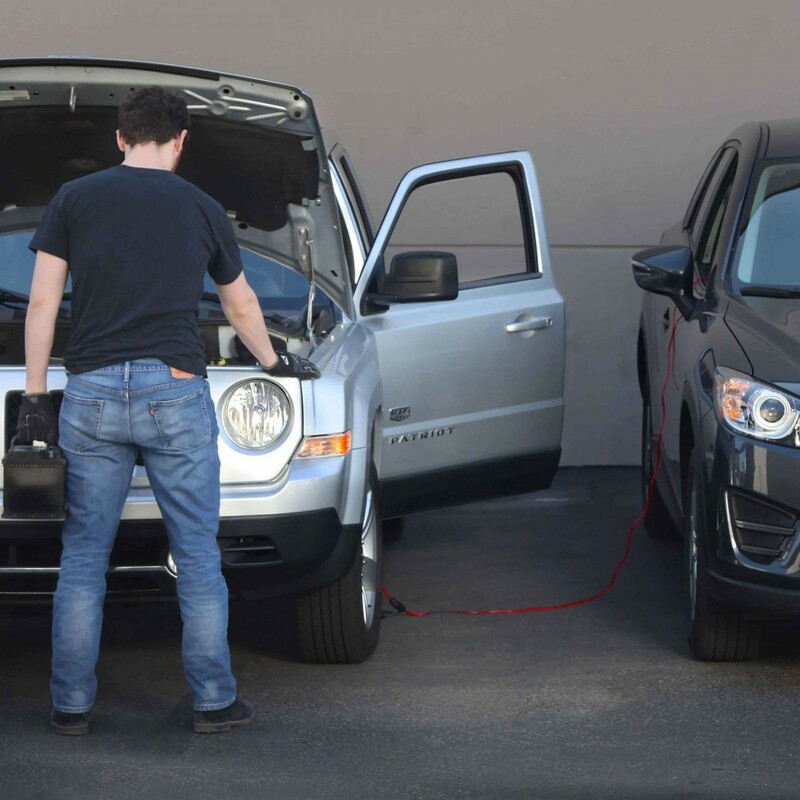 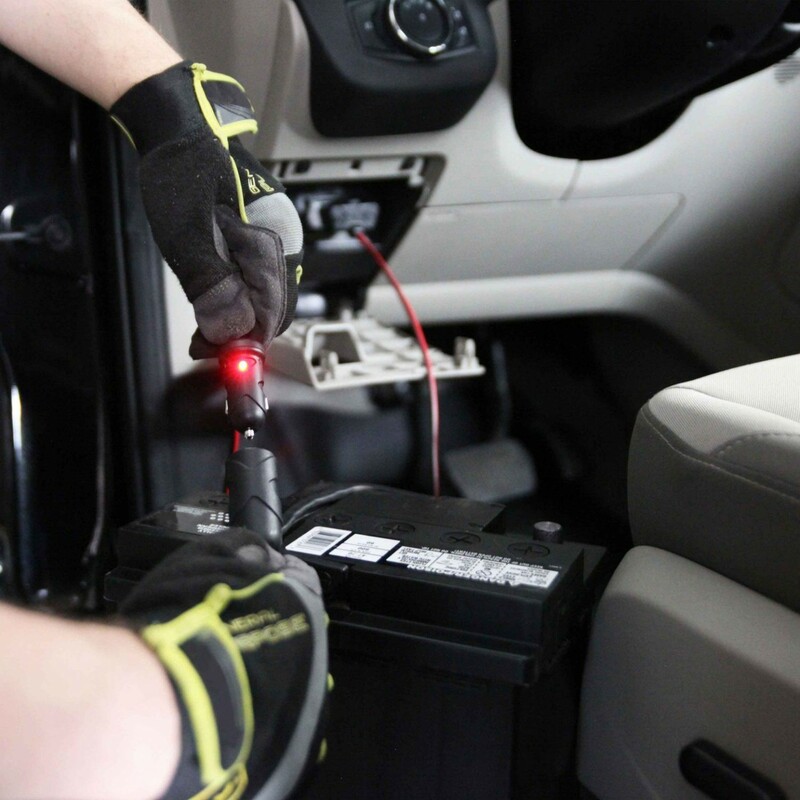 Safely disconnect and replace your car battery without losing settings such as clock, radio, seat position, and more. 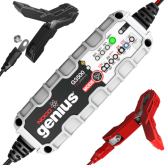 Simply plug the GC035 Memory Keeper into your vehicle's OBDII port located under the steering wheel, and hook up the XGC IN end to a NOCO GB70 or GB150 jump starter. 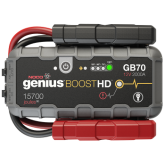 Power on the NOCO Genius Boost and you are free to disconnect your vehicle's battery. 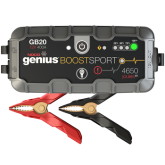 An energy efficient LED to indicate power. 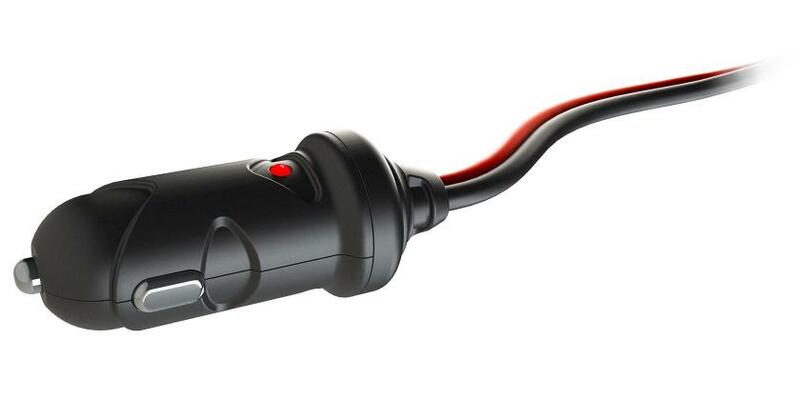 Replace the battery, not the settings. 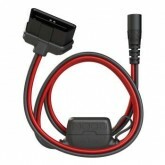 Connect the 12V Male OBDII Connector before changing your battery. 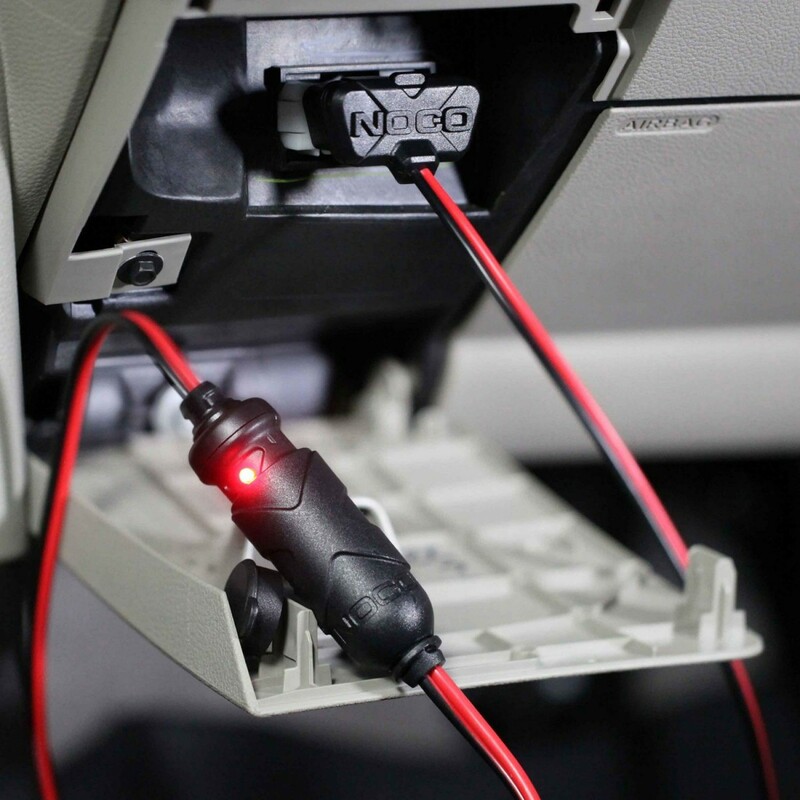 As soon as a car’s battery is disconnected, the onboard computer and electronics risk losing programmed settings. 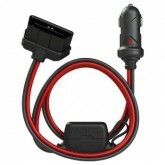 To retain the settings, a replacement power source is required while the battery is disconnected. 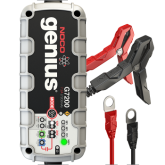 Use the GC012 to connect a 12-volt power source to the vehicle’s OBDII port to save onboard computer settings, while disconnecting or replacing the battery.